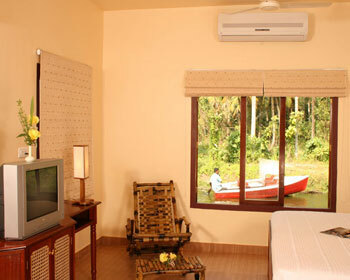 When it comes to leisure and experiencing the finesse of nature, Kumarakom Lagoon does top the charts. 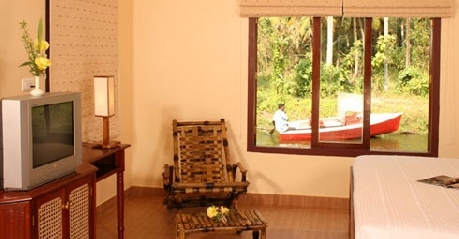 Here the independent cottage and suite rooms are brilliantly designed and have ample of space to witness the charming beauty of backwaters and coconut plantations. Here lot of family entertaining activities like fishing and other activities are conducted on request. 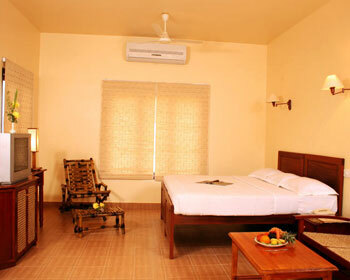 For rejuvenation ayurveda facilities are also provided, the treatments are done by certified therapists. 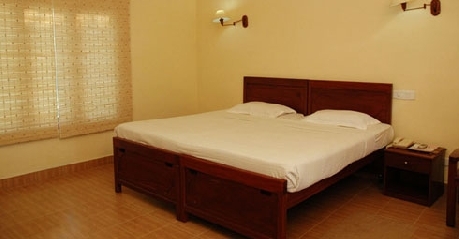 These categories of rooms are designed keeping in mind every minuets needs of every guest. 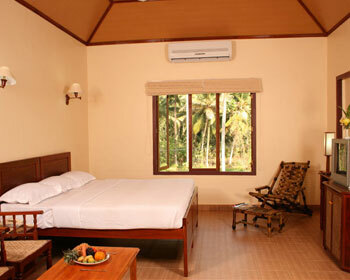 All the ten suite rooms have delighting rooms each offering the panoramic views of backwaters and coconut plantations. The well fixed amenities and fixtures are perfect for making the living experiencing more delighting one. 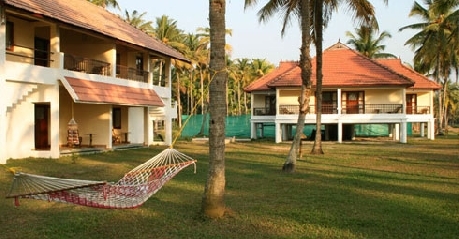 The cottages here are perfect for relaxation and rejuvenation. 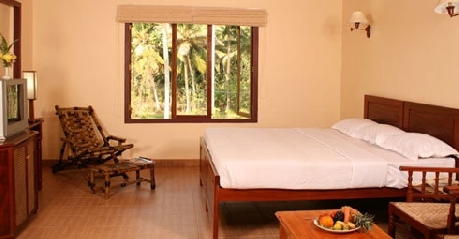 The cottages here are situated in between of lush and green environment. 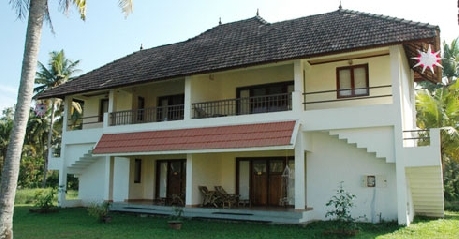 The resort is beautifully done up and these cottages are must a stay to experience the bliss of luxury. These cottages are amazing for starting up new marital bliss or spending quality time with family and friends. The multi-cuisine restaurant here is perfect for enchanting delicacies. The traditional ambience and lively atmosphere is perfect for every age group. 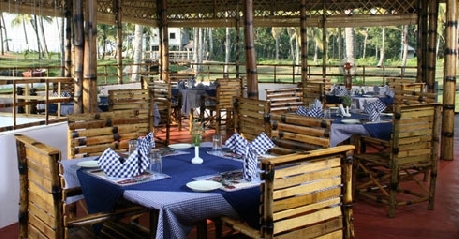 The traditional ambience, hygienic parameters and zest of tasty food does increases appetite. The friendly staff does take care of all your needs pertaining delicacies. The worth trying dishes here are local cuisines. The different colourful garnish lets our mouth melting and increases our curb to try delicacies. The treatments at the Kumarakom Lagoon focus on eliminating all kinds of stress from the body, thereby leaving it completely rejuvenated and revitalized. While the various kinds of massages work wonders for muscle aches and tissues, the use of essential oils and herbs drastically reduce the different kinds of diseases prevailing in the body. Further, the kind of medical science practiced at the resort puts emphasizes on the five elements of the universe with the three doshas of the body, namely, Vatta, Pitha and Kapha. Various kinds of Ayurveda treatments help to cure a variety of ailments such as rheumatism, chronic back pain, skin diseases, facial paralysis etc. At the end of the treatment, the person feels better, both externally and internally. Panchakarma rejuvenates the entire being and includes five major procedures. The five key procedures in this treatment are Vamana, Virechana, Snehavasthi, Kashayavasti & Nasyam. The ancient treatment helps to purify the body by removing excess of toxins. Improper lifestyle, modern food habits and prolonged stress and strain highly affect the ageing process. Rejuvenation comes into the picture in order to combat the ageing process. The therapy aids to strengthen the system, tone muscles, invigorate the body and calm the mind. Also, the process uses medicated herbal oils to improve the complexion and impart a glowing luster to the skin. Therapies, such as Shirodhara, Pizhichil, Ayurvedabhyangam, Rejuvenation Massage, etc. are the essential parts of the process. Ayurveda is a healthy way to tackle the harms caused due to the modern age. The de-stress package comprises of carefully planned programs such as special soothing massages, Sirodhara, Njavara Kizhi, etc. It works wonder to soothe aching muscles and tensed nerves. Yoga and meditation are an added plus that calm the mind, body and soul. The package includes special programs to help cut down this excess fat, correct irregular metabolism and clear the body's channels. By choosing this package, one can shed the extra flab, through a revolutionary programme. It is a scientific blend of Yoga, diet, customized massages and herbal medicines. The program works efficiently towards eliminating toxins, soothing your tired nerves and ultimately improving your immunity. Rejuvenation massages, deep dry massages with herbal powders and pastes, practice of specific yoga postures and Panchakarma therapies complete the program. The treatment involves traditional herbal therapies like Ksheera Dhara, Njavara Lepam, Fruit Pack, Medicated Lepam, etc. for enhancing the beauty. Time-tested procedures which are tailored to modern day requirements aim at lifting you to a new high.